Bhubaneswar: “India is all set to emerge as the third largest economy of the world with a quantum jump in its GDP by 2030. 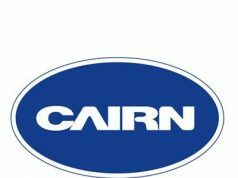 The role of the Chartered Accountants in this context is very crucial,” said Dr. Tapan Kumar Chand, CMD of Navratna NALCO. 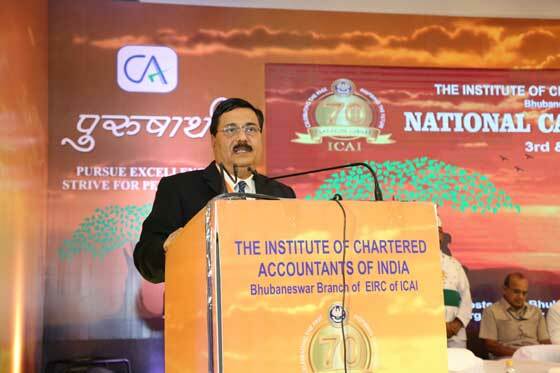 He was addressing the gathering of Chartered Accountants from across the country during the National CA Conference, organized by Professional Development Committee, ICAI in Bhubaneswar, on 3rd August 2018. Dr. Chand cited Chartered Accountants are the architects of country’s financial system. “More competent this professional community becomes, stronger will be our financial system,” he added. Dr Chand informed that, India is first emerging as the youngest Nation in the world with more than 65% of its population in the working group. If the demographic dividend is properly cultivated, then GDP growth in India will become double digit. Key to such quantum progress is generation of large scale employment & this employment in this phase of growth of the Country will come in MSME sector. “As a responsible mother industry, NALCO has taken steps to set up Aluminium Park at Angul. It will work on cashless model, in which NALCO will provide raw material and purchase finished products from the MSMEs making them viable in the long term. The programme was inaugurated by Prof. Ganeshi Lal, Hon’ble Governor of Odisha. In his address, the Hon’ble Governor appreciated the Chartered Accountants of the country. He encouraged the professional body to work diligently towards the development of India, by ensuring a strong financial eco-system. Among others, CA. Naveen N.D. Gupta, President, ICAI, CA. Sonu Jain, Chairperson, EIRC of ICAI, CA. Aswini Kumar Kar, Chairman, Conference Organizing Committee, CA. Chiranjeebi Jena, Chairman, Bhubaneswar Branch, EIRC of ICAI and CA. Siddharth Ranjan, Secretary, Bhubaneswar Branch, EIRC of ICAI also spoke on the occasion.